This photograph shows the Atlantic & Pacific Railroad roundhouse in Needles, California. To the right of the roundhouse is the sand house and the west end of the coal chute. 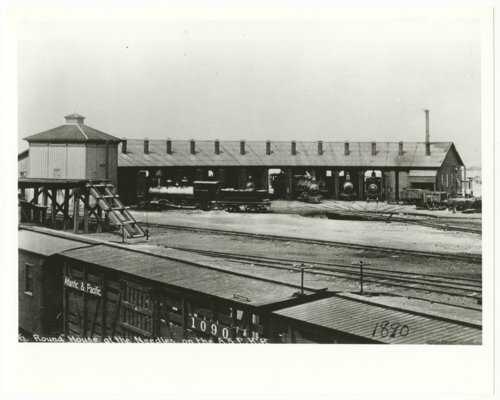 The machine shop was in the right or east end of the roundhouse.